From the moment Meryl Streep steps out into the Parisian sunshine as Julia Child in the film Julie & Julia, you know she is channeling the legend herself and relishing every last bite. Thank goodness. I admit I was worried we might be subjected to a caricature— but, happily, I was wrong. With each gesture, sigh and flip of the whisk, Streep shows us that—deep in her big, beautiful bones—Julia knew that food matters. 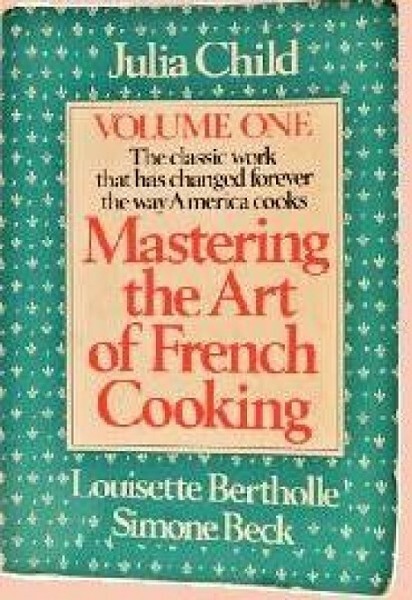 Mastering the Art of French Cooking, her first cookbook, was born in Paris and published in America in 1961. Beautifully detailed, far from politically correct, and blissfully unconcerned with calories and fat, it still stands as a masterpiece. And the more we learn about Julia, the more we love the woman who had the most wonderful love affair with her husband and with the art of cooking. Butter, of course, plays a starring role—in her books, on her classic television shows and in the movie. As she always said, “You can never have too much butter …” So I leave you with one of her simpler recipes—a heady anchovy butter. She advises serving it over broiled fish, adding to egg fillings, sandwiches and sauces. You can also just slather it on toasted baguette slices and enjoy with glass of chilled Champagne and a copy of her dreamy memoir, My Life in France. Julia Child’s Beurre d’Anchois: One-half cup butter; 2 tablespoons mashed canned anchovies or 1 tablespoon anchovy paste; pepper and lemon juice to taste; 1-2 tablespoons minced parsley or mixed green herbs (optional). First, cream the butter well. Then, a half-teaspoon at a time, beat in the anchovies or anchovy paste. Finally, season to taste with pepper, drops of lemon juice and the optional herbs. Bon appétit!